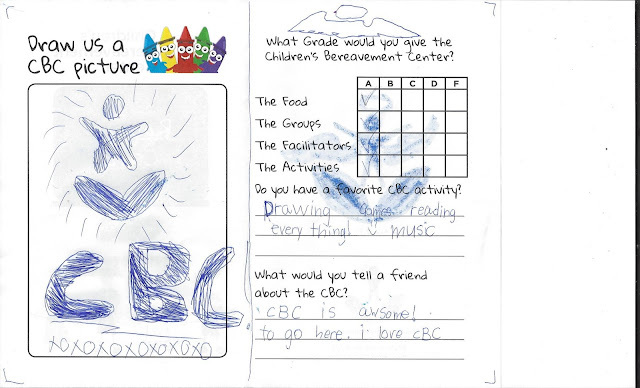 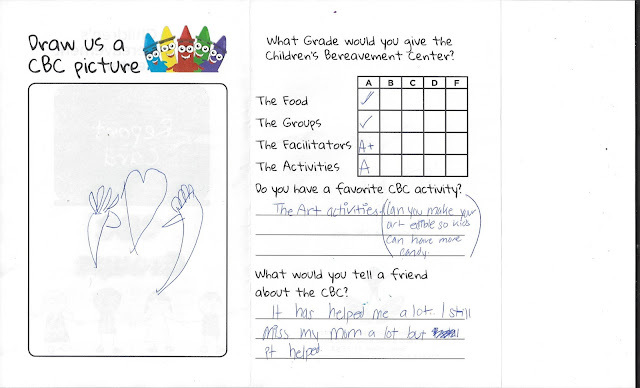 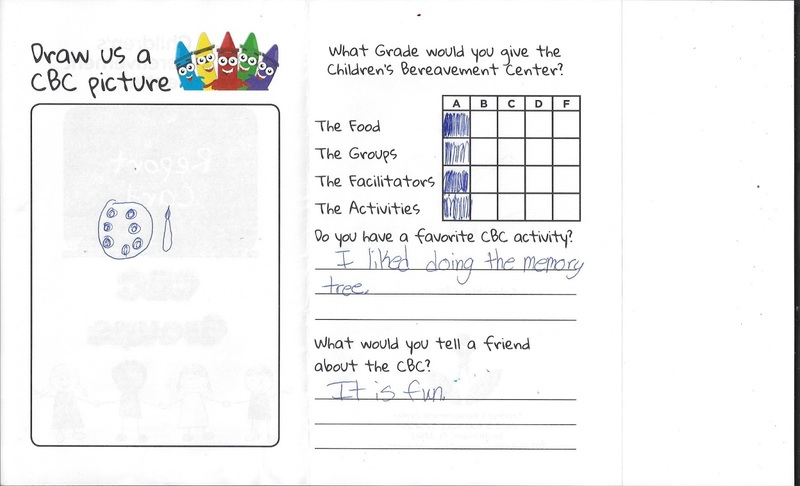 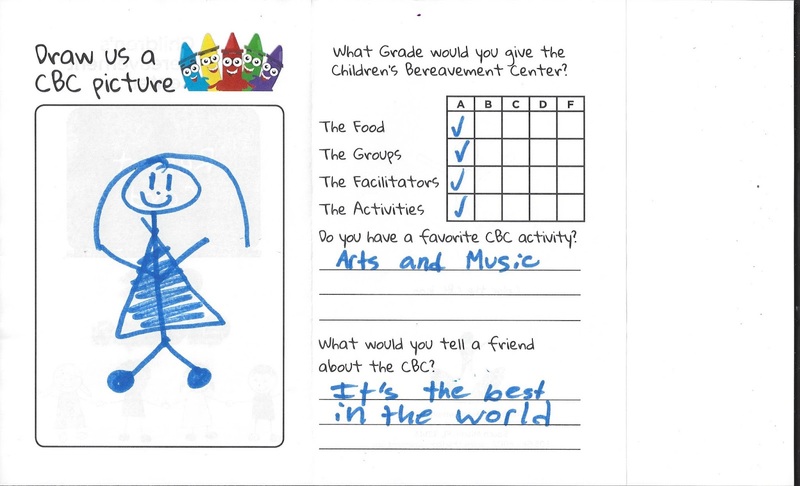 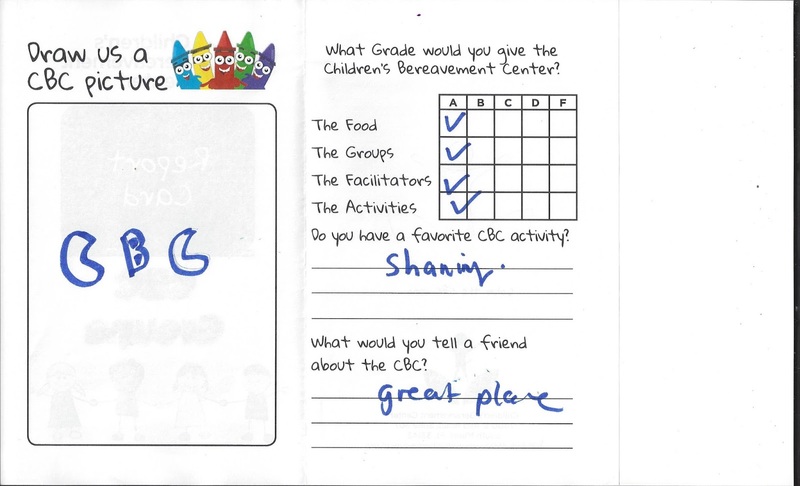 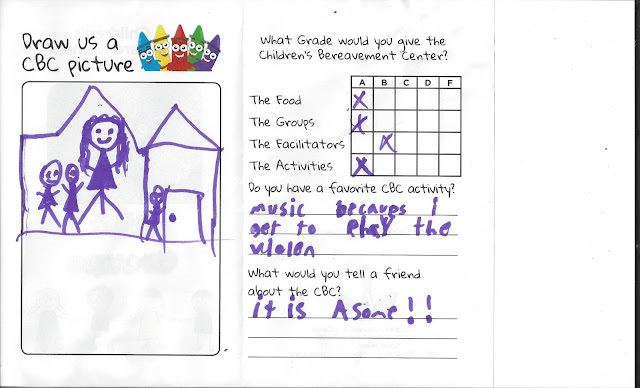 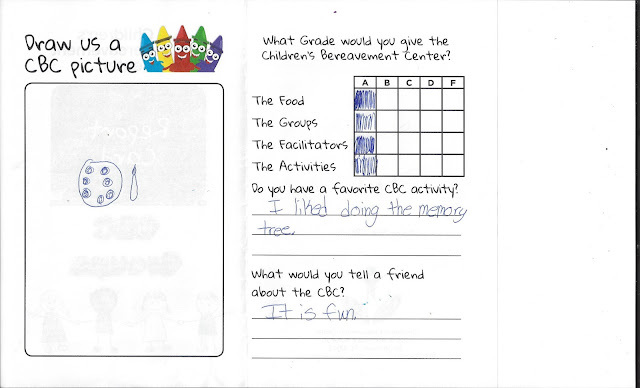 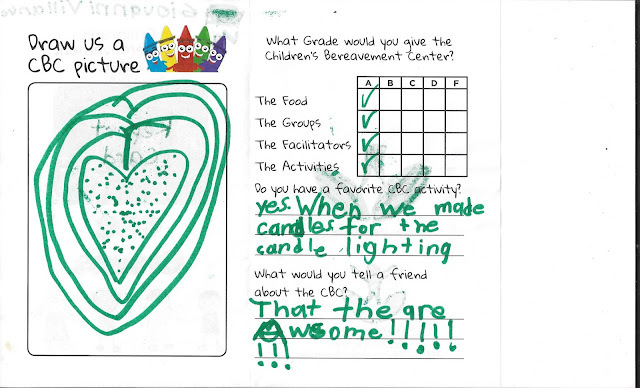 At the end of every Program year, the CBC’s youngest participants have a chance to “grade” their experience with us. 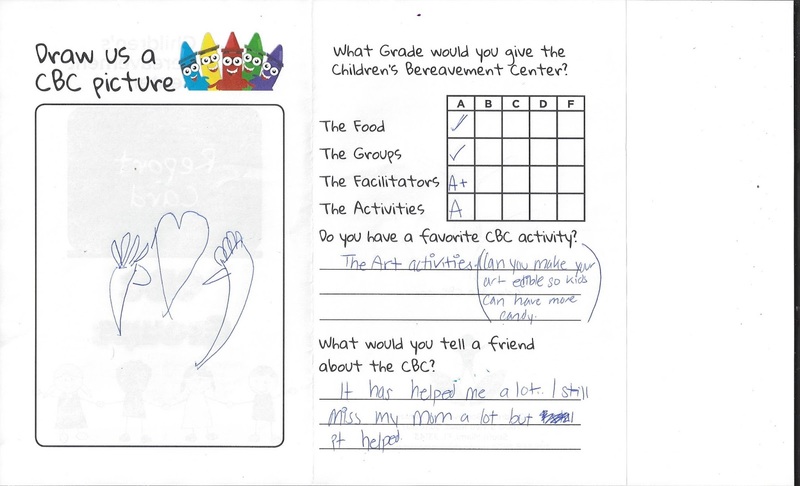 We are so proud that the support we offer has a positive impact, and that the children and families who share their grief with us find comfort and caring in our programs. 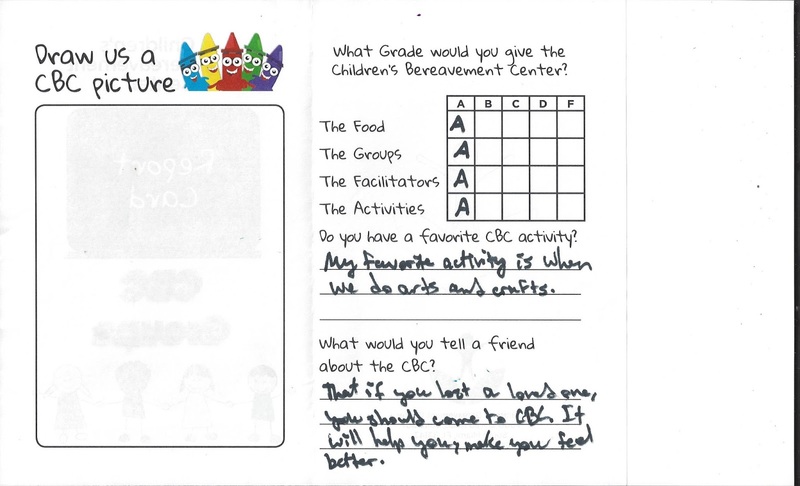 Our Peer Support Groups are available to children of all ages, as well as adults, who are coping with a death. The CBC becomes a place to heal, find that we are not alone in our grief, and transform our lives after loss. 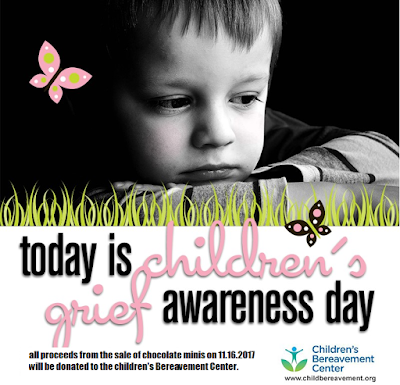 We hope you will join us in caring for our South Florida community and reach out if you’d like to participate or volunteer.